Size: NormalLong Hipbelt: MaleFemale This item is currently out of stock! See bottom of page for size specifications. Made when ordered here in our factory in Portland, Oregon, and winner of the Guides Choice Award and Alpinist Mountain Standard awards, CiloGear WorkSacks are the best packs for climbers in the world. The W/NWD® WorkSacks are the burliest, strongest packs currently available in the world. Made with cutting edge fabrics designed and developed by CiloGear, the W/NWD® WorkSacks weigh pounds less than the competition and with 3 times the abrasion resistance of 1000d Cordura. The W/NWD® WorkSacks simply outperform everything else on the market. 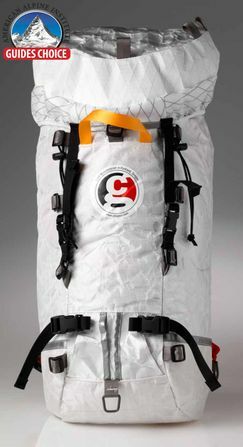 The 30L has the classic CiloGear features, including the Ninja Pocket, internal compression strap, hipbelt, lid, set of six straps, and a removable bivy pad. If your torso is about 20" or longer, choose the Long Shoulder Straps.